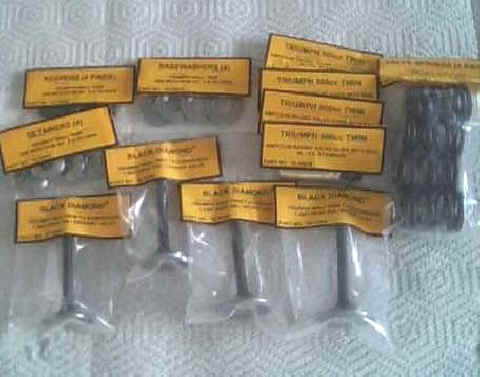 The Ultimate Valvetrain Kit, from BCS: Lighten up your valve train and increase flow for more performance, with these complete kits made in the the USA by Kibblewhite Precision Machining and stocked by British Cycle Supply! Take advantage of our high performance Megacycle cam's extra lift and duration by adding these matched components, and feel your Triumph fly. Kibblewhite Precision Machining Inc. has been designing, manufacturing, testing, and providing the performance community with the fastest and finest valvetrain components for 70 years. Using state of the art design, simulation, manufacturing and testing equipment, KPMI continually provides what no other company can when it comes to valvetrain. 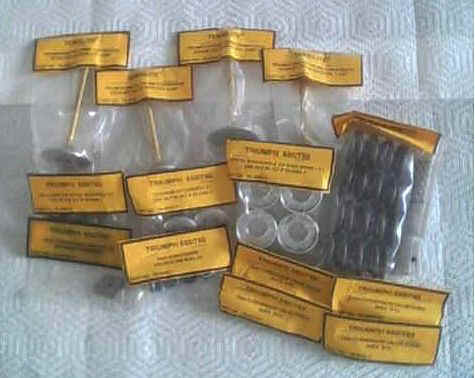 >> Valves are shortened for use with lash caps; included in kit. >> Note: 0.500" valve lift OK.